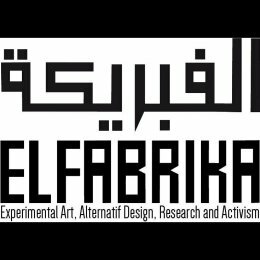 El Fabrika is a Tunisian non-profit association founded in 2013. It’s an emergent platform for Experimental Arts, Alternatif Design, Research And Activism. El Fabrika is a nest for projects that exist outside of the sphere of the traditional. We seek to provide space for adventurous and challenging scenarios, while structuring sites dedicated to electronic and digital arts in Tunisia whether it be performance, visual art, sound, interactive work, or other ideas. We want to Explore the digital creation,”open source” technologies and “do it yourself” cultures (D.I.Y) with considering the public art and technology as a medium of citizen action in the country, and to understand the opportunities of free tools and technologies for the Tunisian artistic creations.